that is proudly first in class. We Pride ourselves on listening. Welcome to Arburton, your luxury concierge company that’s proudly first in class. With more than 30 year’s experience of the bespoke concierge and luxury sector, we specialise in tailored lifestyle services, luxury travel, itinerary management, hospitality and luxury goods. We pride ourselves on listening. We have the expertise and flexibility to tailor our services to suit the needs of the individual client and take care of you on a personal or professional basis. Our dedicated account managers form a close relationship with clients to ensure they understand what is needed and how. The privileged network that Arburton has from over 30 year’s experience in the luxury services sector means that we have access to products and services that suit your lifestyle; whist taking the hassle away. These include luxury watches, bespoke jewellery, vehicles, fine wines and bespoke tailoring services. All you have to do is tell us what you need! We have access to unique events and experiences on a global basis be it a table at the finest Michelin star restaurant, a tee off time at a luxury golf course or VIP access to sporting or entertainment events; we can help you have the service and experience you need. These services are entirely bespoke and based on a brief and budget provided by you. Our executive travel services cover Business Class, First Class and of course Private Hire. We cover transfers, flights, yachts and all other related executive travel services on a global basis. Our dedicated account managers take care of booking, payment, check-in and lounge access so you can get on with your busy lifestyle. 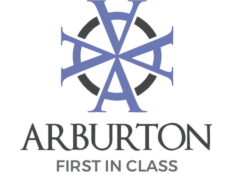 With over 30 year’s experience in this field Arburton really are first in class. 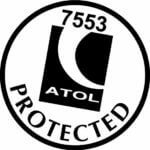 Private jet hire is where is all started and where we excel as a business. We have more than 30 year’s experience in this sector and have worked for a host of royalty, famous faces and prominent business people. If you need a private jet for any destination, event or business purpose we are first in class! Helicopter Charter forms an important part of our product portfolio, especially when transporting our clients to sporting events, difficult to reach venues or simply cutting travel time to important business meetings. Whether you need to arrive in style to an important meetingor event, or you’re travelling on a private Jet we have arranged here at Arburton, we have handpicked chauffeurs with a range of luxurious vehicles to cater for all of your travel needs. Short and long term services are available with tailored services to suit your every need. With over 30 year’s experience within the luxury travel and concierge sector, Arburton can cater for your every need when it comes to luxury yacht charters. Our network of vessels spans the globe and covers everything from a beautiful wooden vintage speed boat or a fully crewed super yacht we are first in class. Short and long term services are available with tailored services to suit your every need. © Copyright ArburtonLtd , All rights reserved.